Place a char-grill pan over high heat. Cook the corn, turning, for 8–10 minutes or until lightly charred. Add the lime halves and cook, cut-side down, for 1–2 minutes or until lightly charred. Slice the kernels off the cob and place in a bowl. Add the coriander, chilli, salt and pepper and toss to combine. 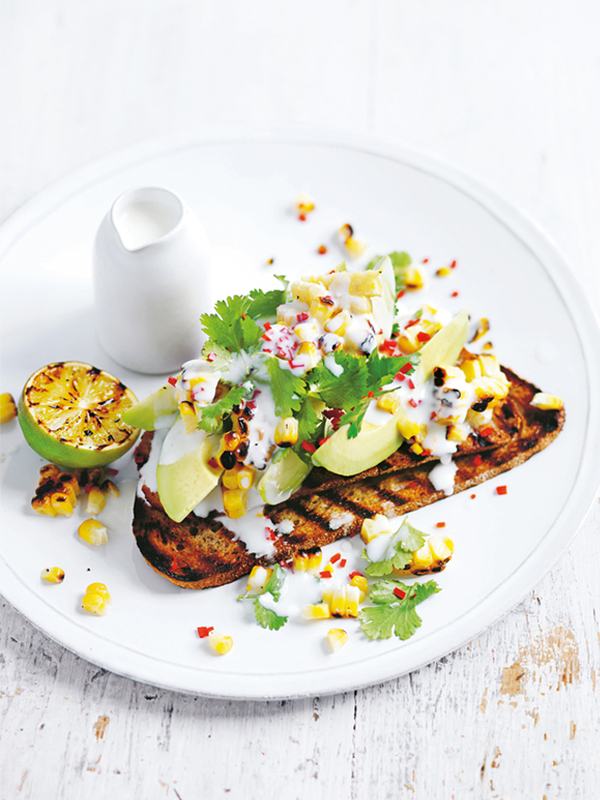 Top the toast with the avocado and corn mixture and drizzle with buttermilk. Serve with grilled limes. Serves 4.